Junior Amelia Burton describes her top five underrated Black female artists and explains why you should be listening to them. Even though Black History Month has ended, it’s never too late to celebrate all the amazing black queens excelling in the music industry. Black women have to work twice as hard than any other group of women and, with that being said, get little to no recognition. Black women come in all sorts of shades, but only the ones that have a lighter skin tone get any popularity or exposure. There are many beautiful dark skinned women in the music industry that deserve the spotlight. 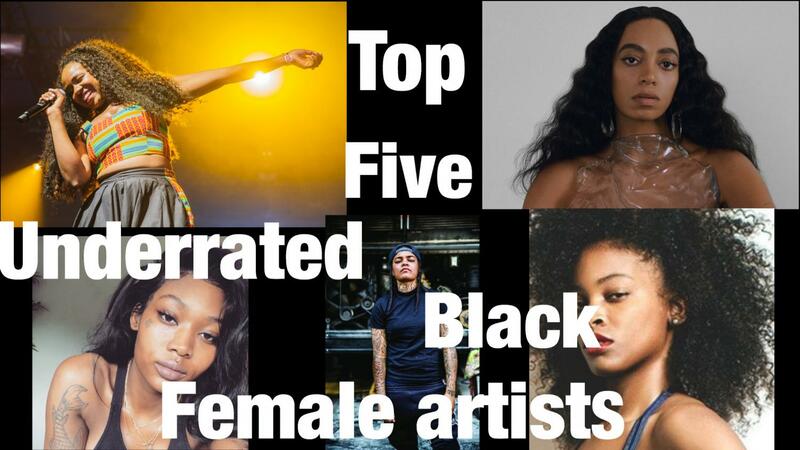 So, here are my top five favorite underrated black female artists killing the game regardless of the shade of their skin. You probably know her for her iconic and renovating song, “Shea Butter Baby,” featuring J. Cole. Not only is the song super aesthetic, the video has great representation of black love which is outstanding! This next artist is one I personally just got hooked onto, but her album “Saturn” is an absolute gold mine. We all know her for the iconic song “Girls Need Love” breaking the internet and having every girl in their feelings, but have you really listened to any of her other songs? Well, if you haven’t, get to it, because “Girls Need Love” wasn’t the one hit on that album. Check out her song “Karma” if you need another song for your playlist. Solange is SO underrated and with her sister being the Queen Bee, no one really seems to pay her any mind, unless she’s fighting Jay Z in the elevator of course. Besides all of that, Solange has a great voice that deserves more recognition. Ouuuuuuuuuuu. You have to love Young M.A because she is killing the rap game and with her recent remix to “Thotiana” I have to say she has the best remix so far. We’ve heard Nicki Minaj and Cardi B, but Young M.A came out with the best one.